Mercia 6 x 4 Overlap Reverse Apex Shed Single Door: The Mercia overlap shed takes the classic shed and turns it on its side, in where the door is placed on what would normally be your side gable to create the unique reverse apex design. 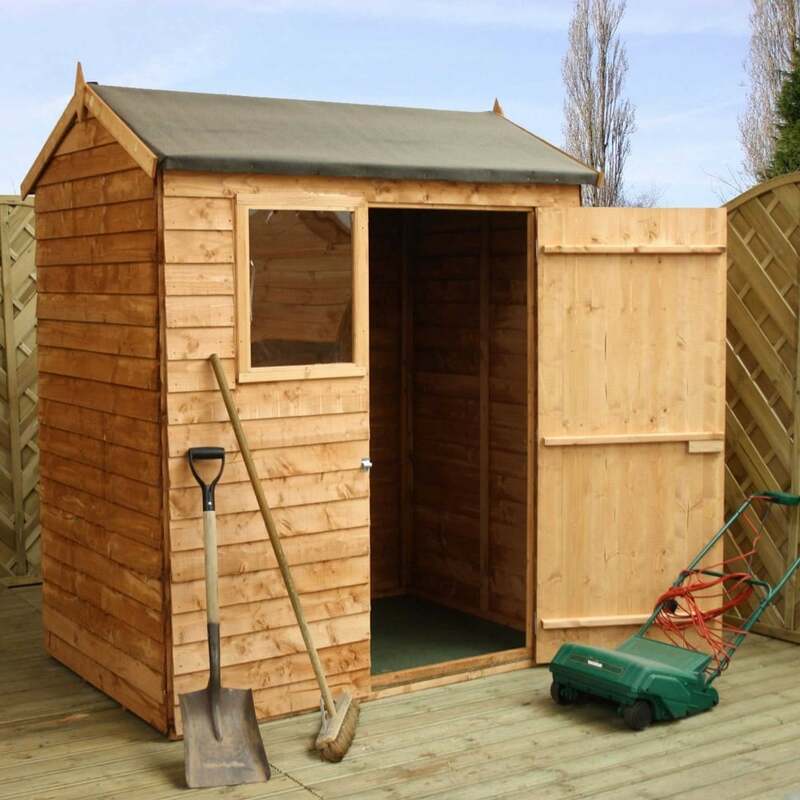 The 6 x 4 Mercia shed is great for those who have limited outdoor space to store all their garden equipment but at a reasonable price. The Mercia garden shed features a single door which has been ledged for added support and includes a galvanised steel pad-bolt for additional security.